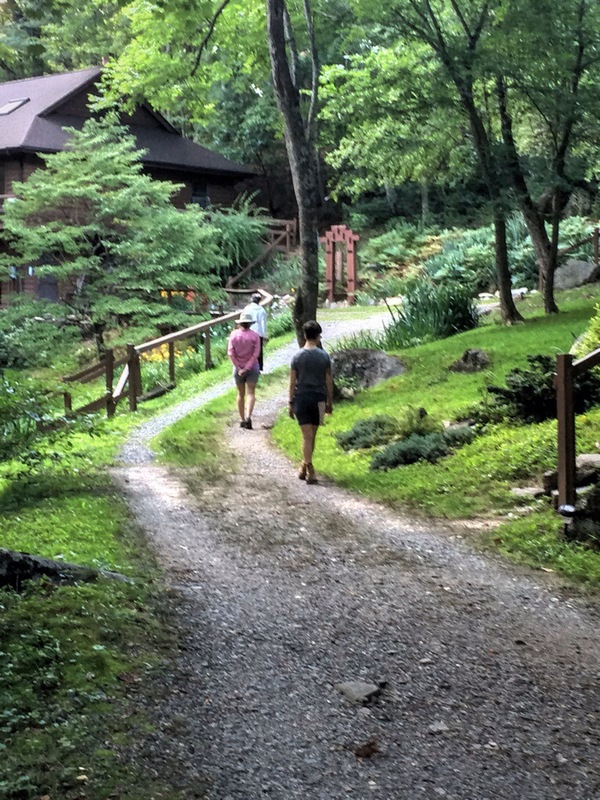 I recently attended my first silent meditation retreat held at the Southern Dharma Retreat Center in the mountains of western North Carolina, near Hot Springs. 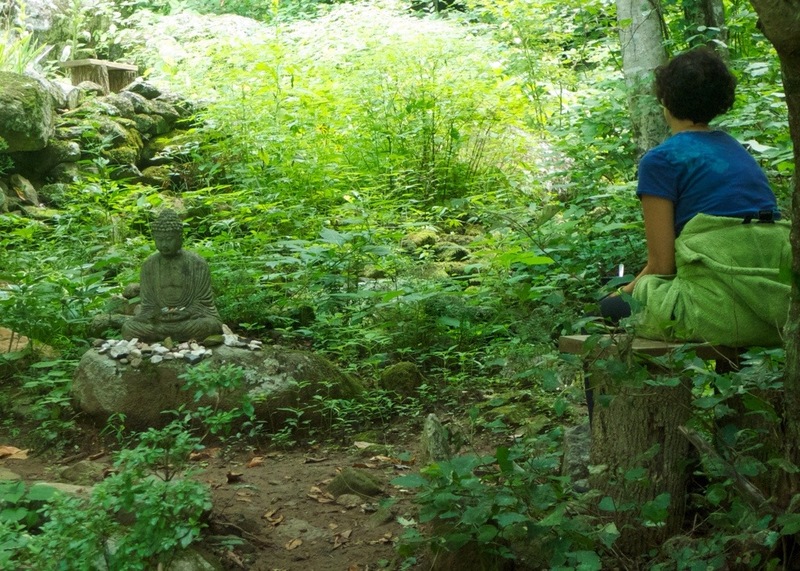 This was a 5 day Vipassana retreat organized around the 4 foundations of mindfulness: awareness of body, feeling tone, mindfulness of mind and ethics. The schedule was humane – none of the seated meditations were longer than 45 minutes but challenging – days began with a 7am “sit” and ended at 930 pm with the final sitting period. There were sitting periods, working periods and walking periods. My background is in a more secular form of meditation that is derived from Vipassana called mindfulness based stress reduction or MBSR. What I found here was different as it is based on a deeply held and ancient spiritual practice. This was my first in-depth exposure to Buddhism, a fact that hit me with force in the first sitting period. …wow! these are Buddhists! I’ve never seen so many close up…and they seem so normal! In fact they were more than normal. I found them to be friendly, open-hearted, well intentioned, courageous and astonishingly intelligent seekers of personal meaning and transcendent truths. Mindfulness is all the rage now. Some of this is mere posturing. Sometimes I think people use mindful when another word like careful might work better( “we must be mindful when targeting ISIS near the Mosul Dam”…really!?
. Nonetheless, I believe that it an undeniable and happy fact that we are rapidly evolving from a society founded on Judeo-Christian principles to one based on Judeo-Christian-Buddhist principles. So what is this thing Buddhism? Is it a religion? Is it non-theistic? A philosophy? Perhaps a highly evolved and sophisticated school of psychology? We call it a grain of sand. This entry was posted in compassion, gratitude, mindfulness and tagged Buddhism, MBSR, meditation, Vipassana. Bookmark the permalink. I do hope the evolution incorporating Buddhist beliefs is rapid. They are genuine and can only benefit all without harming any. Really enjoyed reading what you wrote. Lovely post John. It seems like honest, genuine kindness and peaceful, respectful coexistense preveal when labeling and fitting everyone/thing into their neat box is set aside. Thank you for sharing and filling us up. Thanks for sharing, John! We’ll miss you. Love this site, John. Please keep it up after your move Westward.